Please click on the link to view all the interesting activities we have going on in the High School. If you are looking to advertise in the HS Yearbook this is the form you will need. This article has special tips on how to improve organizational skills, motivation, and respect. It includes a calendar that you can use to have an "Activity a Day" schedule. You may use this link to watch a Live Streaming of Graduation from anywhere. 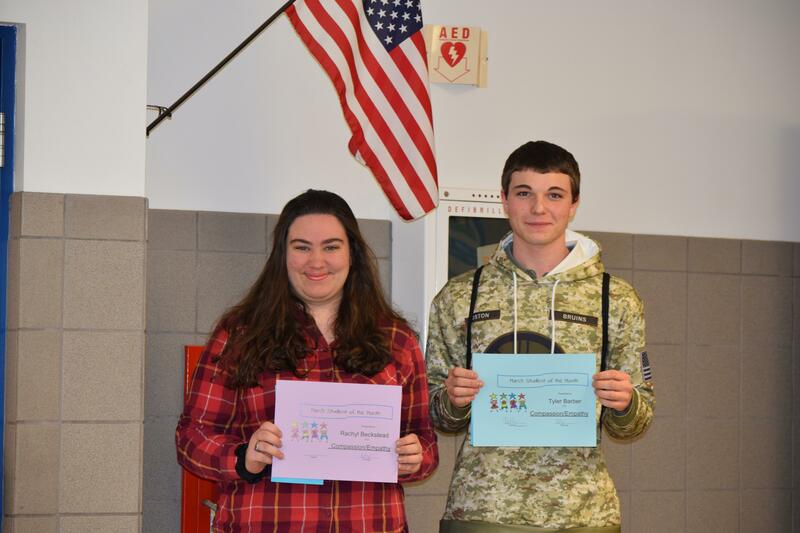 Pictured are the March Students of the Month, Tyler Barber and Rachyl Beckstead. They were chosen student of the month for the character trait “Compassion/Empathy”. Rachyl was nominated by Mrs. Burnett and Tyler was nominated by Mr. Morrison.